We offer a conditional 100% money back guarantee on Proposal Kit products for the first 30 days. Returns are only accepted in the event of a failure of the product to operate in the environments it is supported that cannot be resolved. You must provide proof the software fails to operate such as a screenshot of the error that is preventing the product from performing and details of the platform you are trying to use the product with. The return policy is not for use as a trial period. Sample downloads and previews of all products are available for review before purchasing. It is your responsibility to ensure receipt of any emails containing download links and passwords including checking your junk/spam folders. If you do not receive emails they will be resent on request to an alternate email address and you can resend the download links and passwords to yourself. It is your responsibility to read the product pages which describe in detail what is included and what the system requirements are such as what operating systems each product works on and what required software you need to have installed. Not understanding how to use the product or making end-user mistakes such as not reading or following directions is not covered. All Proposal Kit products include free customer support to assist you when you need help. It is your responsibility to follow the login, download, install and setup directions. Every known issue with logging in, downloading, installing and setting up the products is outlined in the help information provided. Failure to follow directions will not be considered as a valid return request. You are responsible for your own computer system and software. If you are unable to follow the directions contact our support department for assistance. We will provide assistance as much as possible to troubleshoot problems on your own system however failure of your own software is not our responsibility and is not covered by this return policy. This includes ensuring your operating system and Office software are maintained at the current patch level. There are hundreds of samples and previews of the proposal and contract templates, graphic design themes as well as fully functional demo downloads of the Wizard software you can preview and test for suitability before purchasing. The product installers all include a click-wrap agreement that links back to this policy page that gives you a final chance to read the return policy before completing the installation. Once you have run the installers and install the product(s) on your computer you have agreed to this policy. Failure to operate does not apply if you are on a platform that is unable to run the optional Proposal Pack Wizard. A version of the Wizard is included in a number of products as an optional item only for use by those who have Word for Windows that can run macros. This is an optional component that does not affect the ability to use the proposal and contract documents and samples. Proposal Kit software may only be used and reviewed by the original purchaser. 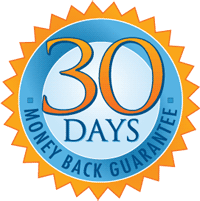 The 30 day offer is void if any material from the product or created using the product is transmitted to any other party. If any documents or materials have been used in the course of business or have been distributed to other parties we do not accept returns for any reason - even in the event of a software failure. Orders for 3 or more products either on the same order or within the same 30 day period cannot be returned for any reason. Orders for custom services cannot be refunded. Returns on legal contract products Contract Pack and Proposal Kit Professional are not allowed for any reason other than a proven technical failure of the product that cannot be resolved. If a different Proposal Kit product is better suited to your needs you may opt to swap to an alternate product. If a lower priced product is chosen the difference will be credited. If a higher priced product is chosen the difference in price will be charged with full credit given for qualifying upgrades. If you opt to swap to a different product then no returns will be accepted for any reason. You may only elect to swap a single product and one-time only. Returns requests are only processed by phone during normal business hours. Proposal Kit, Inc. reserves the right to refuse return requests that are determined to be an abuse of our return policy and chargeback attempts in violation of this policy will be disputed. This return policy posted on this web page is the only valid return policy that will be recognized. This return policy is available for review prior to purchasing and is also available in the click-wrap software agreement you agreed to before completing the software installation. Return policy is void in cases of illegal or fraudulent activity. All Proposal Kit, Inc. materials are registered with the U.S. Copyright Office. We reserve the right to notify appropriate parties in cases of fraud.